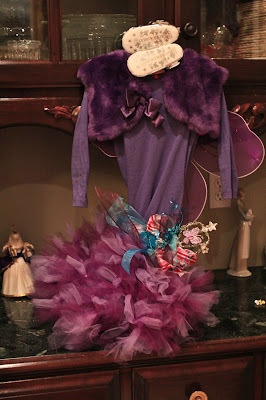 Last year, my darling sister surprised us all with an early delivery of my little niece making her have a December birthday. 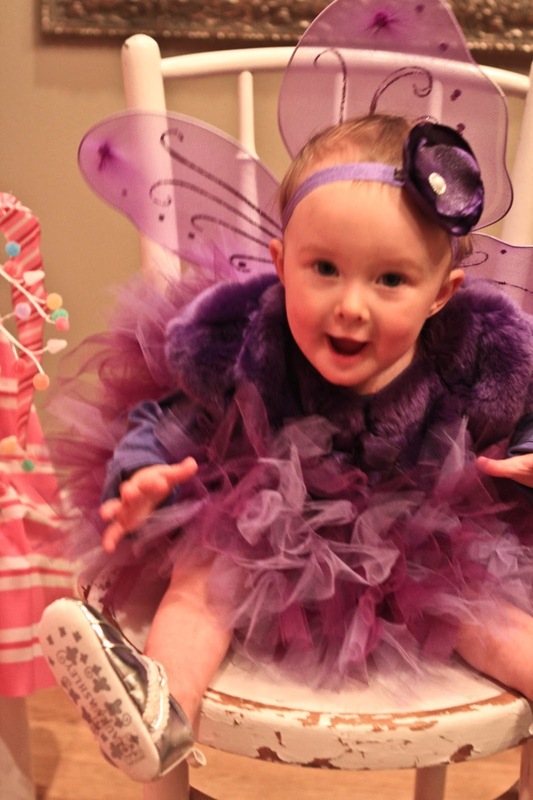 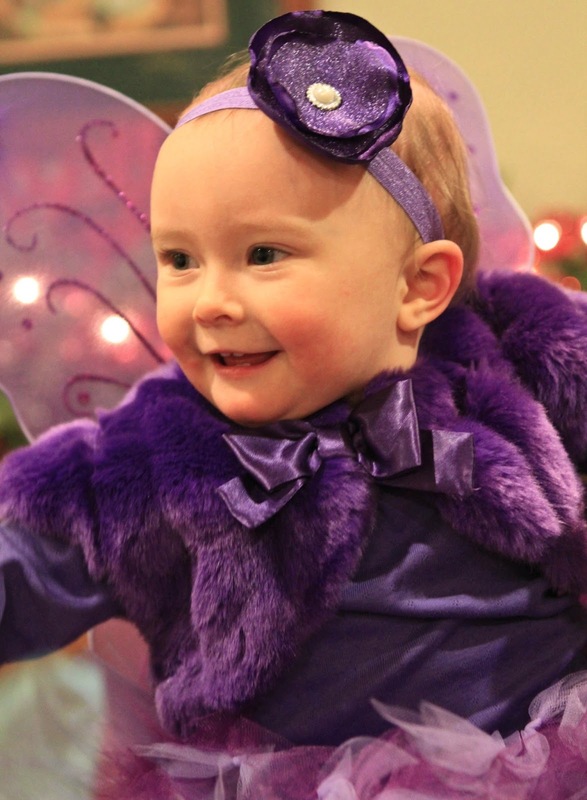 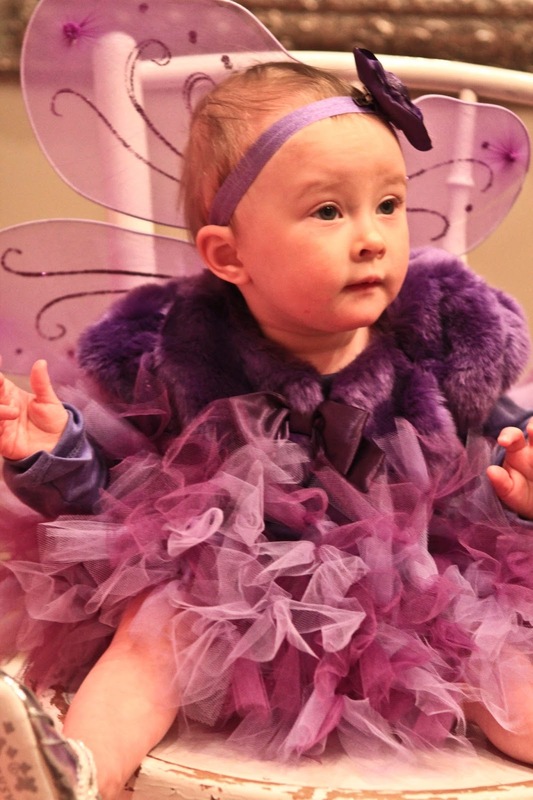 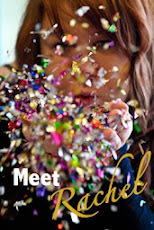 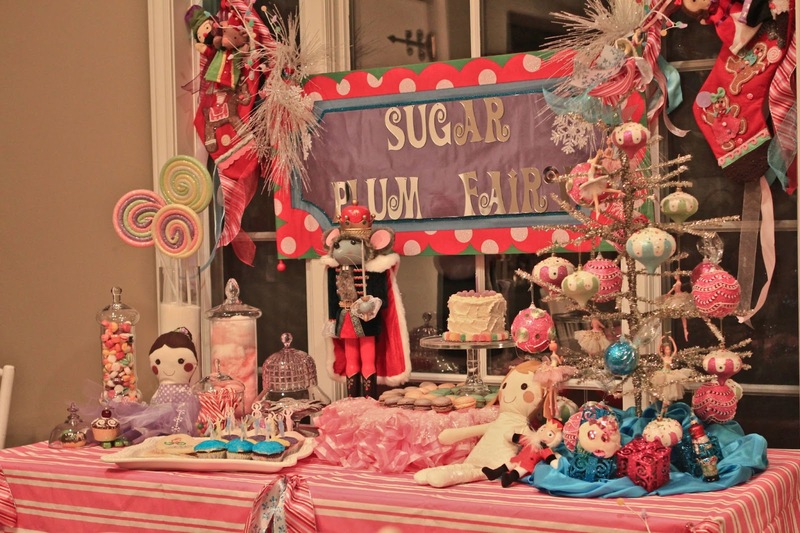 So we wanted to do a fun play on her first birthday, using the Sugar Plum Fairy as our theme. 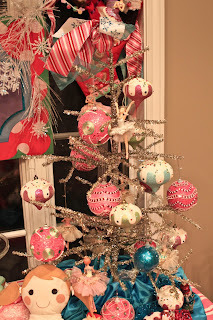 So we collected ornaments throughout the month, and pulled this little shin dig together! 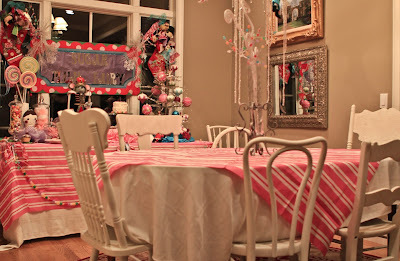 We pulled out our cute vintage chairs, recently painted white, and created a play on the Candy Castle, the Dance of the Sugar Plum Fairies, and all the characters seen in the ballet. 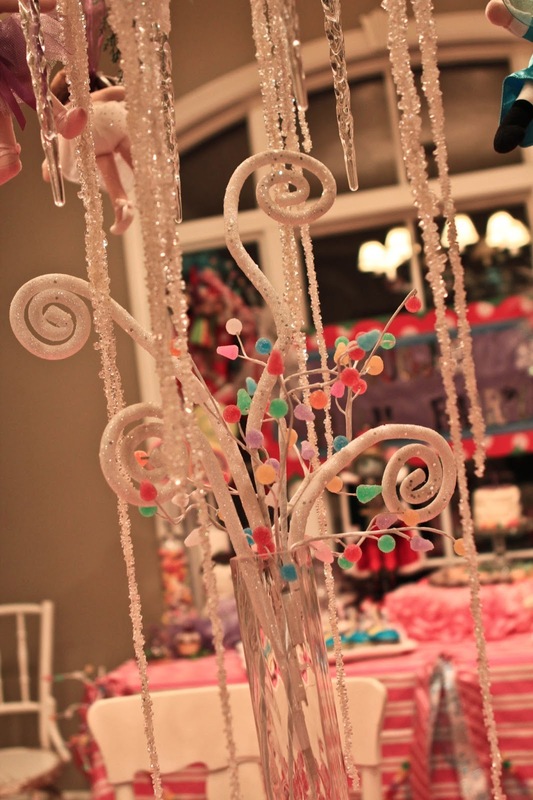 I hung cute finger puppets around the chandelier along with a beautiful sugar plum fairy hanging in the middle of all the icicles. 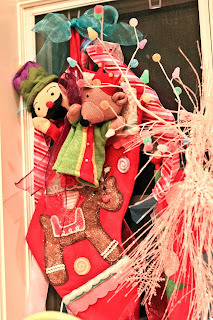 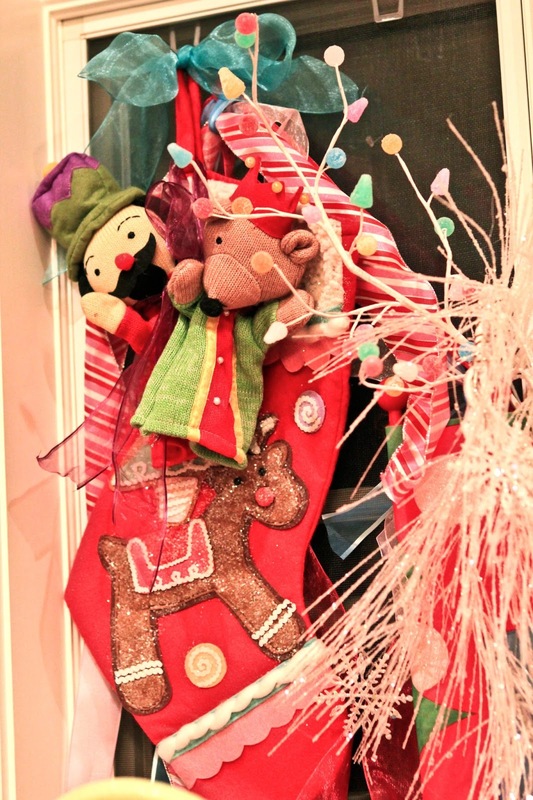 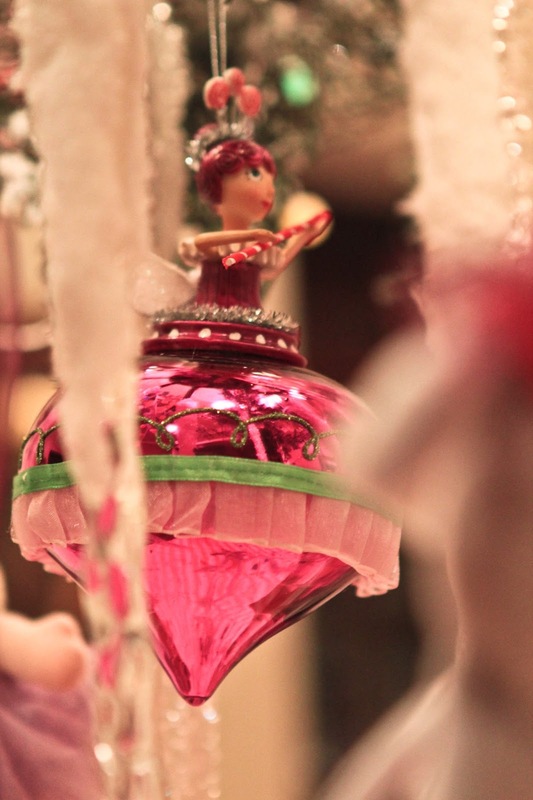 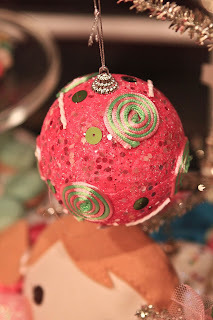 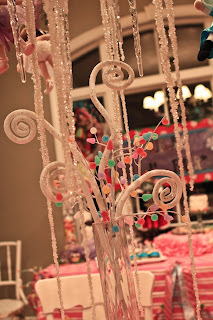 Darling ornaments were on the silver tree, along with whimsical stockings, gumdrop sprays, and icicle garlands. 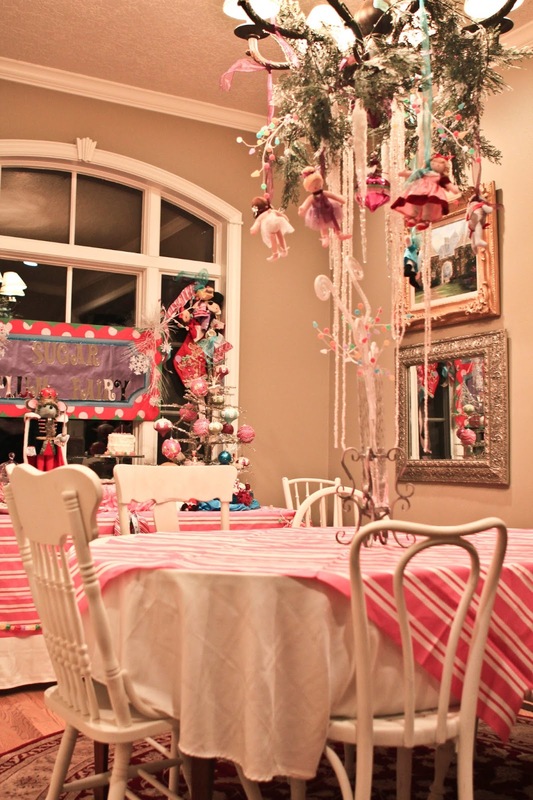 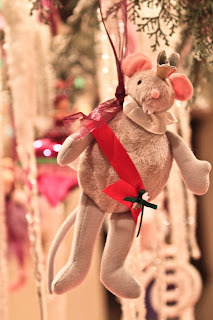 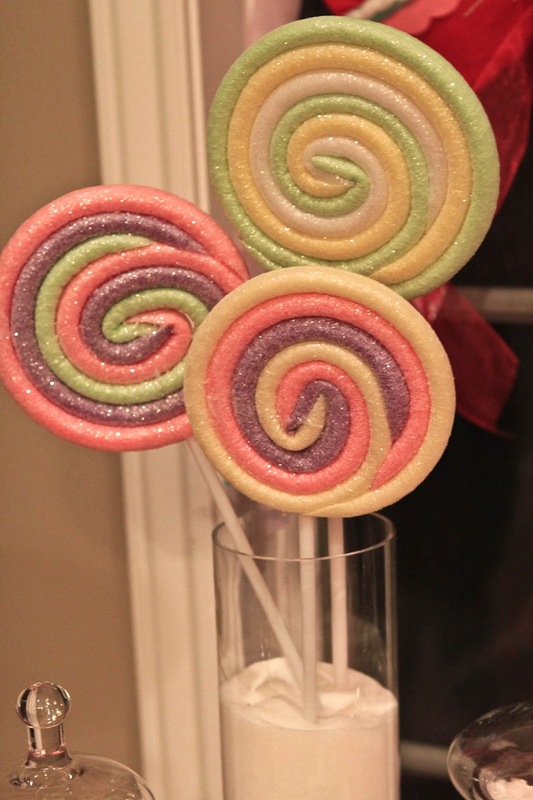 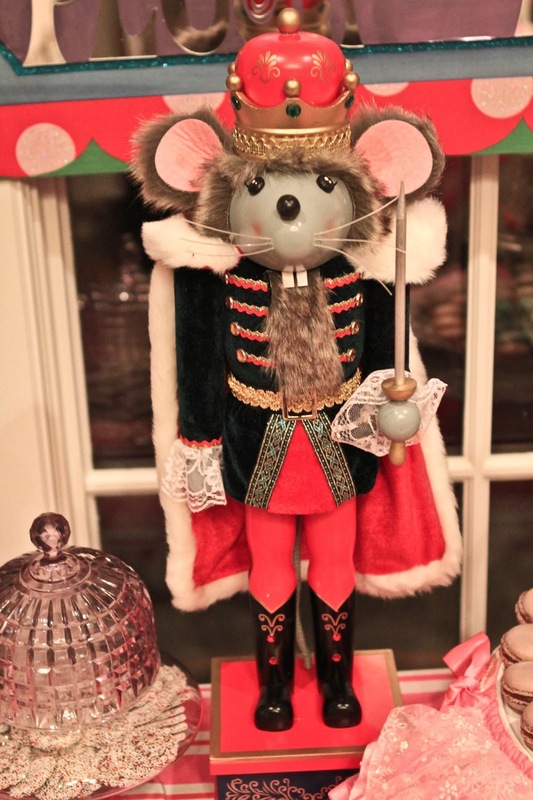 The Mouse King Nutcracker adorned the table, along with extra large lollipops placed in a sugar vase to create height. Dance of the Sugar Plum fairies was the theme of the trees, with sugar plums and snowflake ballerina ornaments hanging on the tree, with a bight blue tree skirt to add a fun punch to the table. 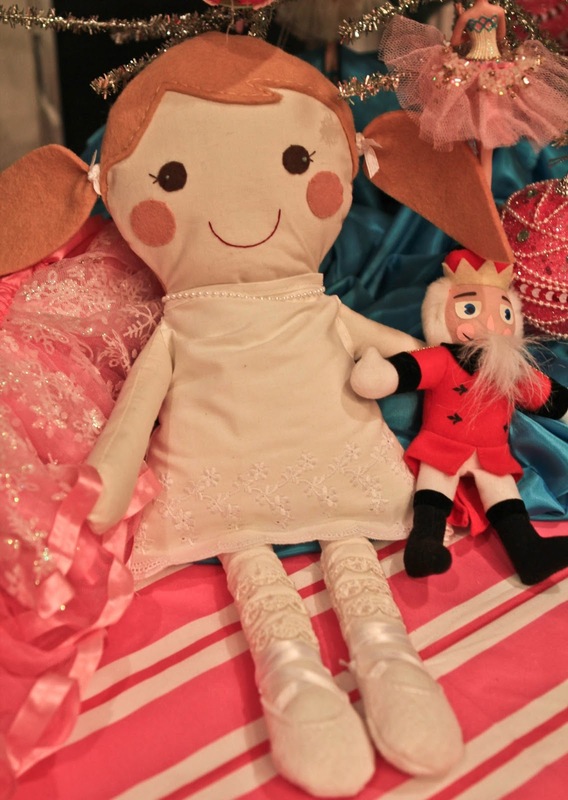 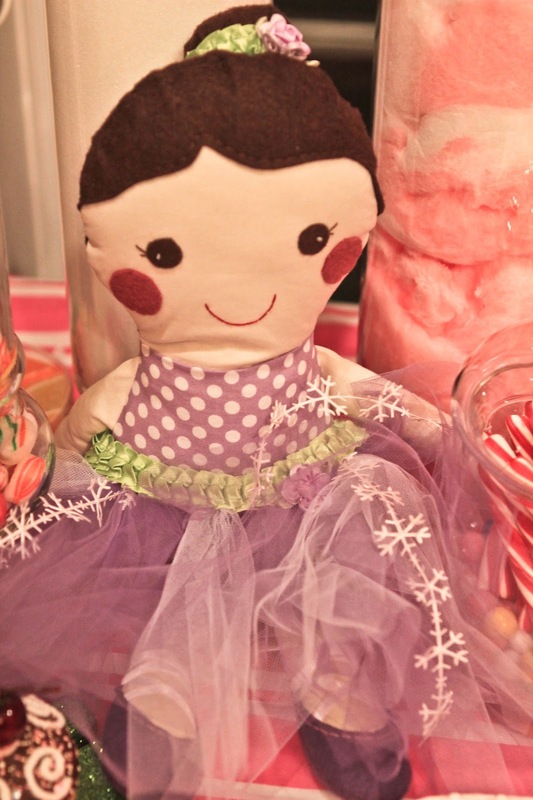 She was given two special dolls, the Sugar Plum Fairy, and Clara, made by my amazing friend Andrea at IT's The Life blog. If you would like to purchase these dolls, or other darling dolls, check out her blog HERE for the details! 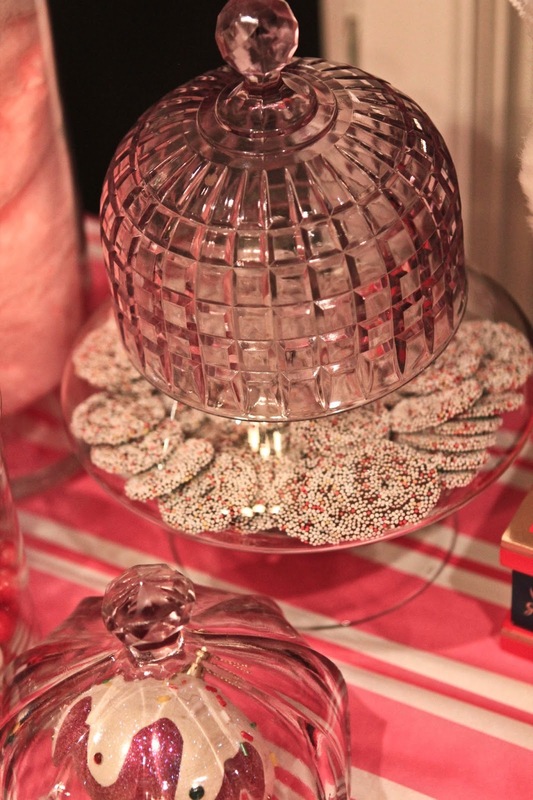 We had a simple vanilla birthday cake, with sugared gum drops to keep with the theme. 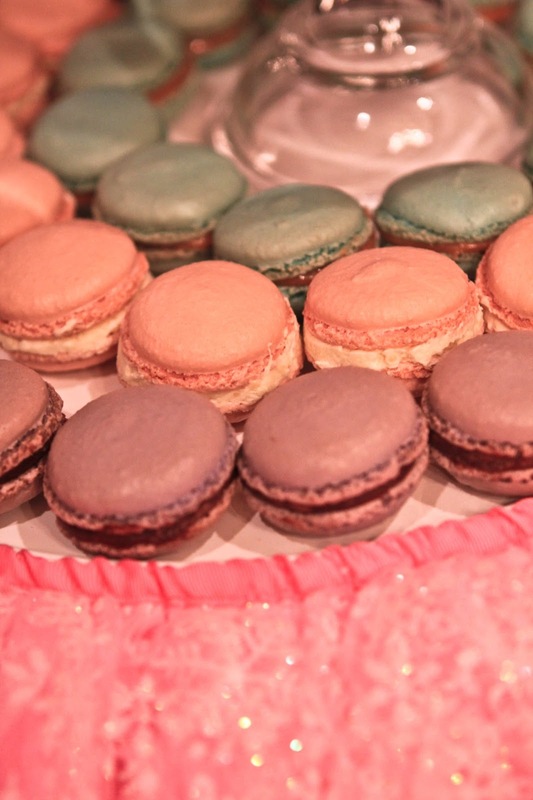 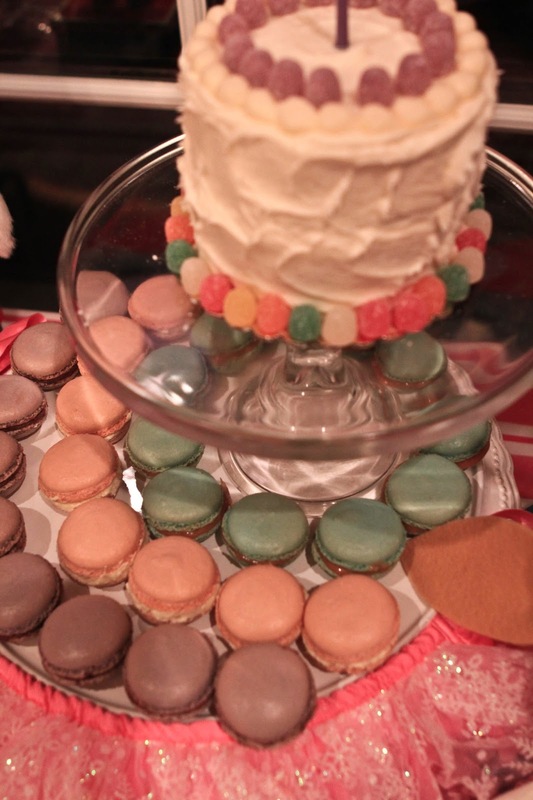 We also had delicious macaroons for the guest. 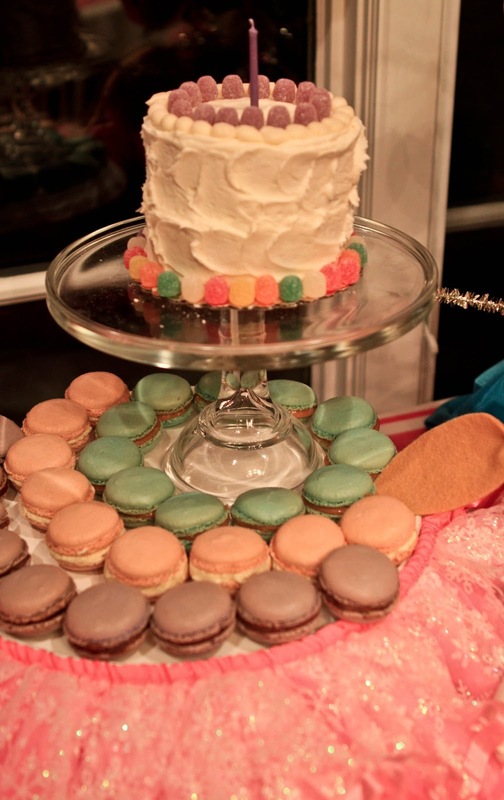 The cake plate was fitted with a darling tutu to keep with the ballerina theme. 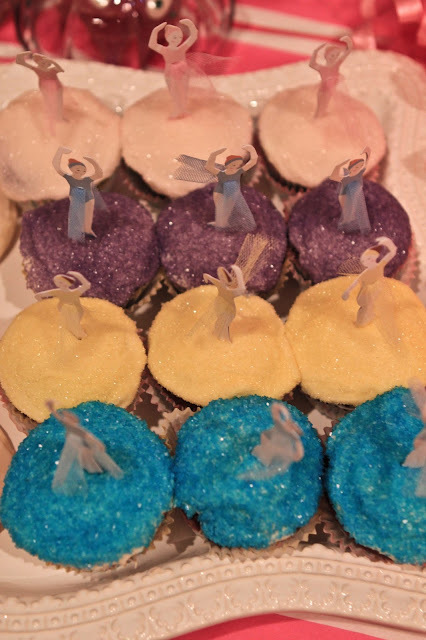 Chocolate cupcakes with reflective sprinkles adorned the cupcakes, with dancing ballerinas. Purple glass helped bring in the Sugar Plum Fairy Theme. 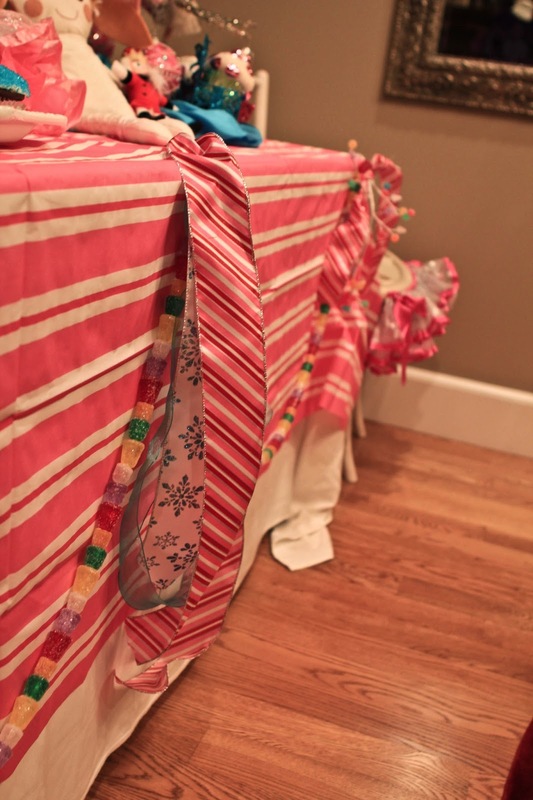 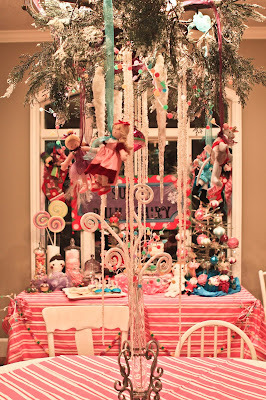 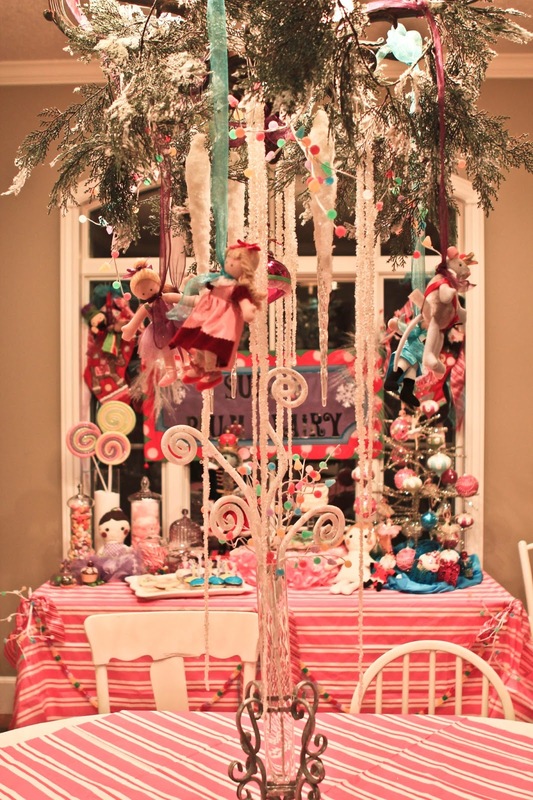 Candy stripped ribbons along with gum drop garlands flanked the front of the table. This is the Birthday Girl and her darling Sugar Plum Fairy outfit, that we got bits and pieces off of ETSY. 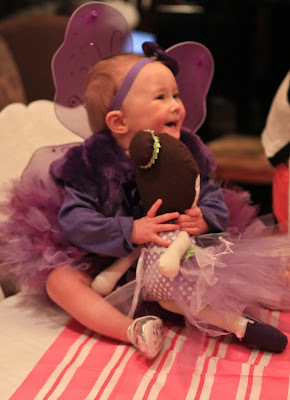 This was her reaction to her new Sugar Plum Fairy doll, that she cherishes and carries around with her everywhere! 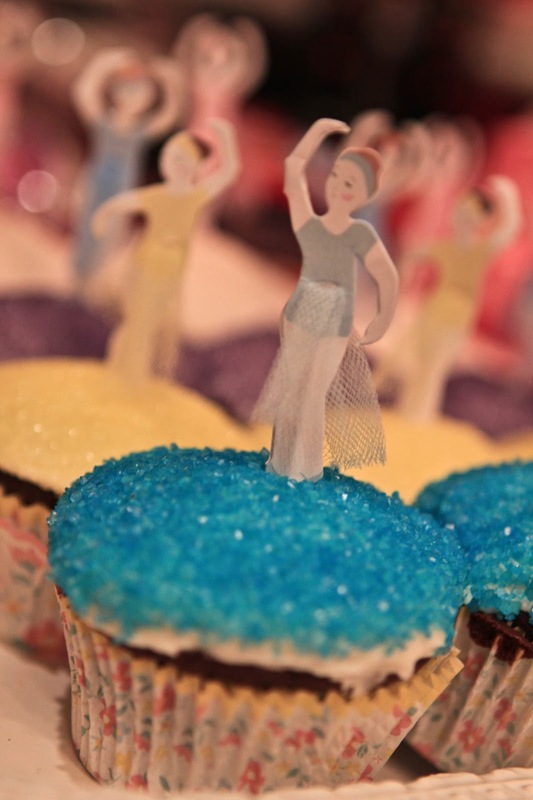 She preferred to pick each frosting ball one at a time, it was quite hillarious and time consuming. 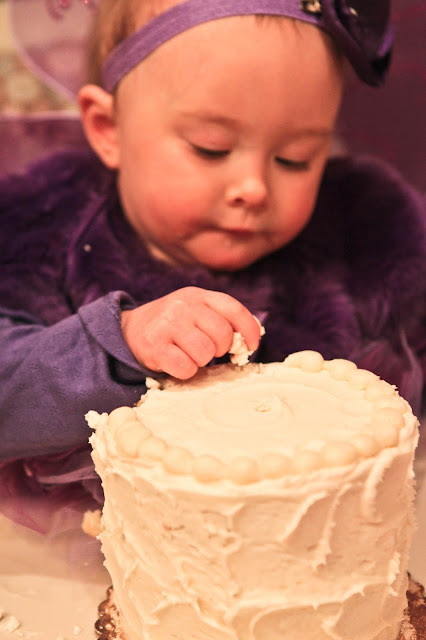 Eventually she did stick her hand in the cake, and then was annoyed that her hand was dirty. 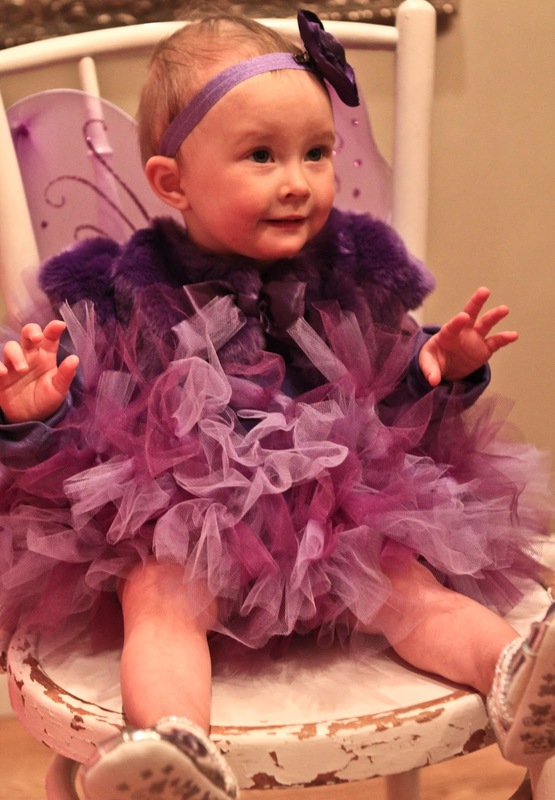 She was the cutest little thing, and I cant wait for the fun parties were going to have with her this Summer! Oh, my! 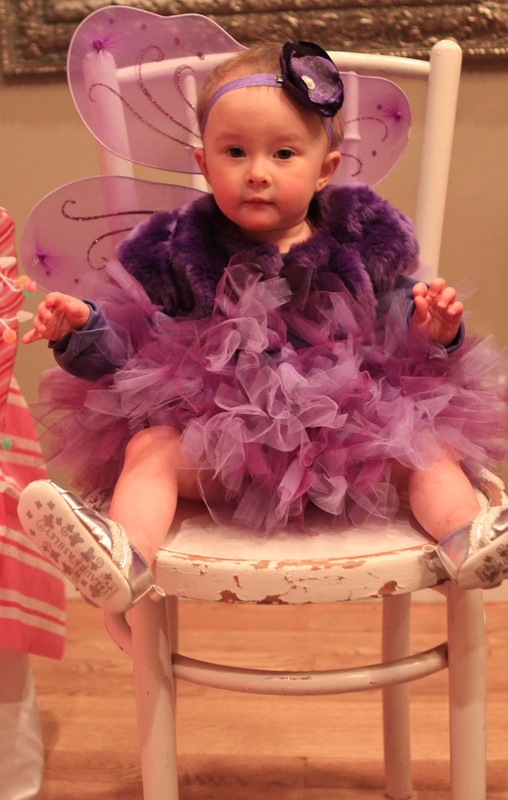 Does Sugar Plum Fairy look like her mama or what?!!! It is such a gorgeous party as usual. Audra and I were just on Pinterest tonight and she found a Sugar Plum Fairy party theme and asked Adele who was born Dec 2, if she would like that for her party next year so I about died when I saw you did it. All of your details are wonderful as usual. You amaze me.